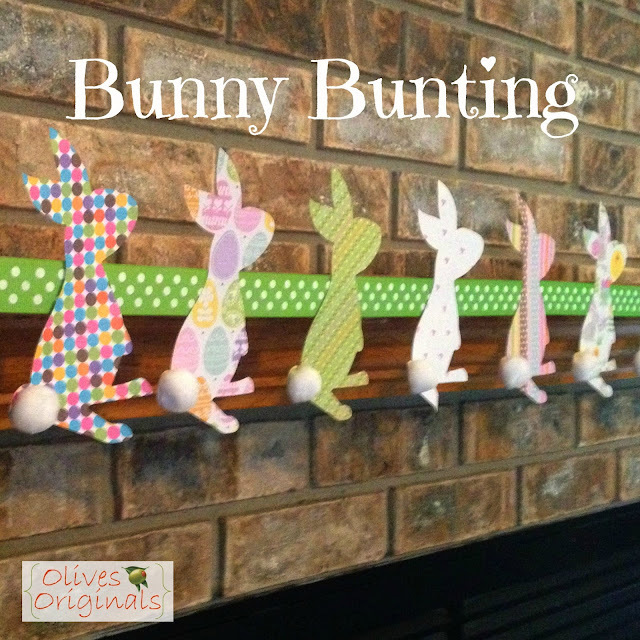 I had seen some cute bunny bunting on Pinterest lately, here and here. So I knew I wanted to make one of my own. Plus, Little O is completely obsessed with bunnies right now (goats are still her number one favorite, but bunnies are a close second). 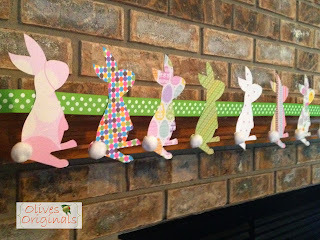 I didn't want to spend a fortune on a Spring mantel. With Easter being so early this year, we won't get to enjoy it for too long. 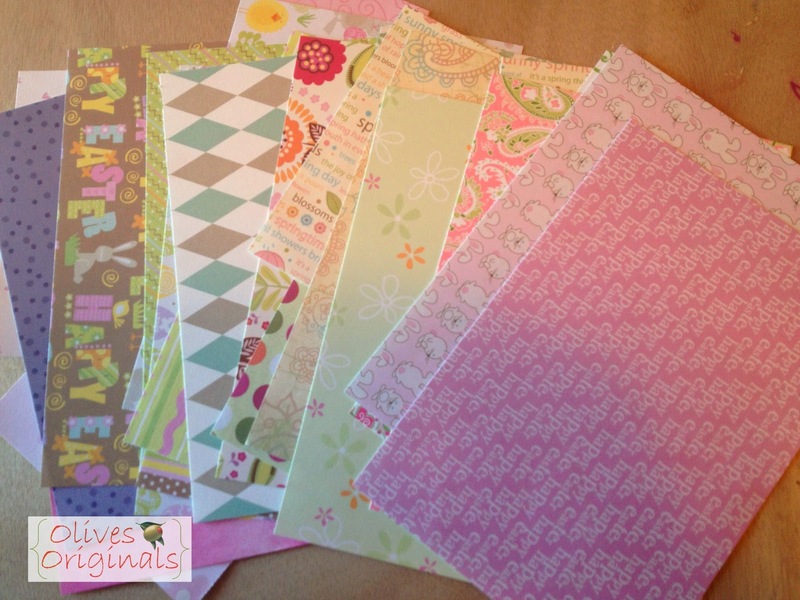 So I sifted through my stash of scrapbook papers to find any that represented Spring and Easter. I also checked out my Cricut cartridges for a cute bunny silhouette. This one came from the Noah's ABC Animals cartridge. 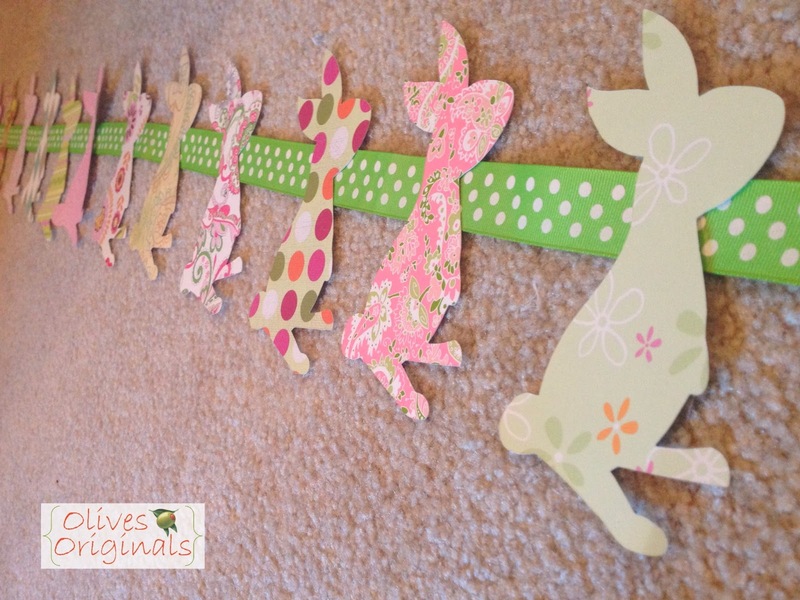 I cut each bunny out at 5.5 inches (the largest my Cricut cuts). 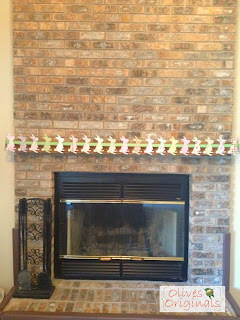 For the width of my mantel, I needed 21 bunnies. 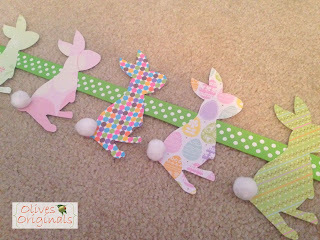 After cutting them out, I laid them out on the floor of my craft room to decide the order in which to place them on the ribbon. Once I had them placed the way I wanted them, I hot glued them to the ribbon and attached little white pom poms to the tails. I had these on-hand from a toddler busy box I created for Little O.
I originally planned to drape the bunny bunting on the mantel, but it just didn't look right. Instead I used Tacky adhesive to attach the ribbon flush along the edge of my mantel. I'm really pleased with how my bunny bunting turned out, but it made me realize that the rest of my mantel looked so naked! I decided I needed to do something about that. Check out what the finished Spring mantel looks like here. So cute - I love it! I included your bunting in my spring and Easter round-up. :) Thanks for the inspiration! So cute! 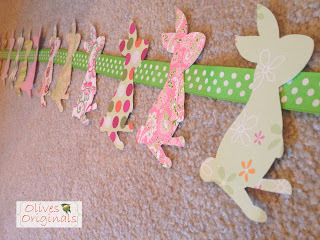 How fun for Easter and spring!